Based in Whangarei, the annual demands on Northland’s roofs are no surprise to us. 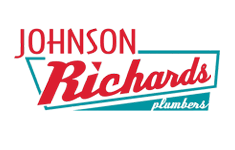 Offering a complete service, from clearing guttering to complete roof installations, Johnson Richards offer the local touch, backed by almost a century of local knowledge, expertise and service. We are a local business that takes enormous pride in our service to the people of Whangarei and Northland, ensuring that our clients enjoy both the service and the confidence that we have come to expect. Our knowledge and experience in the buildings and conditions of Northland that really make us stand out; we know what works, and as importantly, what does not withstand the changing Northland climate! Small issues with the finish on a roof can have vast implications for the rest of the building. Whether on a commercial or residential building, blocked, broken or insufficient guttering can cause significant damage to the roof, ceiling timbers and even supporting walls. Not to mention the poor impression it may provide to customers on a residential premises. A small investment in annual maintenance and repair covers itself many times over the course of a few short years. Johnson Richards specialise in the installation of Colorsteel and corrugated iron roofs. Whether a re-roofing project or a brand new build, we are the region’s most trusted, having worked extensively with Colorsteel, New Zealand’s best protection from the wind, snow, sun and rain that only Northland can throw at it. For over thirty years, Colorsteel has proved to be able to withstand the worst that the environment can throw at it, maintaining its crisp, new finish throughout. Whether a repair or re-roofing in corrugated iron or a fresh, new Colorsteel roof, we will get it right, from consultation to instillation.